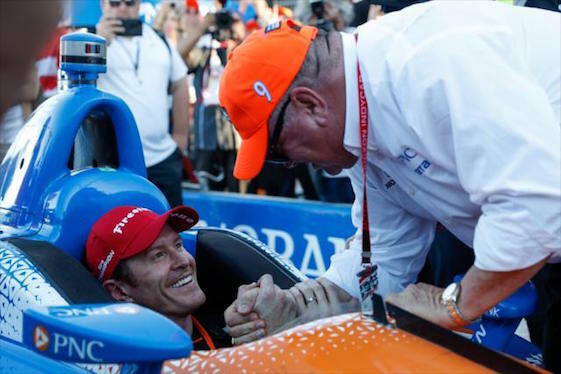 Driver Scott Dixon is congratulated by team owner Chip Ganassi after winning IndyCar Series championship No. 5. earlier this fall. Now a five-time Verizon IndyCar Series champion, Dixon and his Chip Ganassi Racing team were honored at the recent INDYCAR Victory Lap celebration in Indianapolis. The second driver in Indy car history to win five or more titles _ and first in more than five decades _ Dixon earned a $1-million bonus and a replica of the Astor Challenge Cup bearing the name of all season champions dating to 1909. Dixon scored his previous IndyCar Series titles in 2003, 2008, 2013 and 2015. The 38-year-old from New Zealand trails only open-wheel icon A.J. Foyt Jr. and his seven championships. “I’m 38. I’m not the young buck I was when I came into the sport,” said Dixon, driver of the No. 9 Honda. “I’m very thankful to have the opportunities that I’ve had. INDYCAR racing alone, it’s a sport that I’ve loved for many years. I enjoy it. It’s the best racing in the world. I’ve met some of the best people throughout my life at tracks, some of my closest friends. 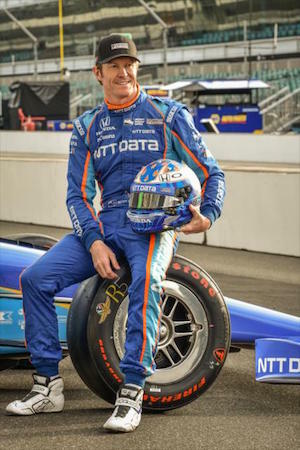 Scott Dixon will go for championship No. 6 next year. behind only Foyt (67) and Mario Andretti (52). Dixon took over the point lead when he won the DXC Technology 600 night race at Texas Motor Speedway in Fort Worth on June 9 and held first place through the final nine events of the 17-race season. Challenged by myriad contenders, “Dixie” held off Andretti Autosport’s Alexander Rossi of California by 57 points for the championship. The definition of humble superstar, Dixon declined to label himself as “the standard” for domestic open-wheel racing. 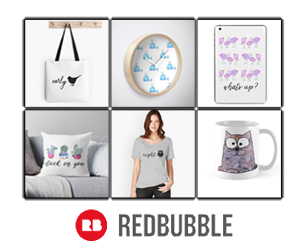 “No, I don’t. It’s weird, I love the sport,” Dixon said. “It drives me in many ways, continues to. I’ve never lost the fire. Each year that I’ve been beat or even had bad races, you get this kind of fire and this anger inside of you. These young people that are coming through, not just the drivers, but you see it on the team front, too, with engineers, that side of things. Team-owner Ganassi also was presented an Astor Cup replica during the celebration at the Union 50 Restaurant & Bar in downtown Indianapolis. In addition, Dixon received a Jostens champion’s ring and the Sunoco Diamond Performance Award ($50,000) given to the driver with the most race wins during the season. Dixon was one of four drivers to record three victories in 2018 and earned the award on the basis of a tiebreaker for placing highest in the final point standings. Robert Wickens of Schmidt Peterson Motorsports was named Sunoco Rookie of the Year, a follow-up to the same honor he won at the 102nd Indianapolis 500 in May. Karli Woods, Wickens’ fiancee, accepted the award and $50,000 check on his behalf as the native Canadian continues to recuperate at an Indianapolis rehabilitation facility following a crash at Pocono Raceway on Aug. 19. Final 2018 Verizon IndyCar Series point standings: 1.Scott Dixon, Chip Ganassi Racing, 678; 2. Alexander Rossi, Andretti Autosport, 621; 3. Will Power, Team Penske, 582; 4. Ryan Hunter-Reay, Andretti Autosport, 566; 5. Josef Newgarden, Team Penske, 560; 6. Simon Pagenaud, Team Penske, 492; 7. Sebastien Bourdais, Dale Coyne Racing, 425; 8. Marco Andretti, Andretti Autosport, 392; 9. Graham Rahal, Rahal Letterman Lanigan Racing, 392; 10. James Hinchcliffe, Schmidt Peterson Motorsports, 391. Swede Felix Rosenqvist has been selected to drive the No. 10 Honda in 2019 as five-time/reigning champion Scott Dixon’s teammate. Rosenqvist, 26, replaces Ed Jones in a deal that features NTT DATA renewing with Chip Ganassi Racing in a new multi-year contract as primary sponsor of the No. 10. Jones, the 2016 Indy Lights champion for Carlin and 2017 IndyCar Series Sunoco Rookie of the Year, finished 13th in the final 2018 standings with two top-five and eight top-10 results in 17 races. Competing in the 2017-2018 ABB FIA Formula E Championship, Rosenqvist scored two wins and three poles en route to a sixth-place finish. The 2016 season was his first in Formula E, where he secured Mahindra Racing’s first win in the series and ended the season as the highest-placed rookie in third. Rosenqvist also contested a partial Indy Lights season that year with three wins in just 10 races. Prior to that, Rosenqvist won the 2015 FIA Formula 3 European Championship (after contesting the series from 2012-2015), the 2009 Formula Renault 2.0 NEZ and Formula Renault 2.0 Sweden titles, and the 2008 Formula Renault 2.0 Asia Championship. He also has competed in the Rolex 24 at Daytona, the 24 Hours of Le Mans and in DTM for Mercedes-Benz. Rosenqvist has driven a Chip Ganassi Racing-prepared Indy car on two previous occasions. He tested for the team alongside Dixon at Mid-Ohio Sports Car Course in both 2016 and 2017. The film Born Racer, a feature-length documentary about Scott Dixon and Chip Ganassi Racing, now is available for DVD release and digital download in the United States. The film’s red-carpet premiere took place at the Indiana State Museum IMAX Theatre on Monday, Sept. 24, in Indianapolis. Directed by Bryn Evans and written by Evans and Matthew Metcalf, the film is a narrative on the unforgiving world of professional racing and the unique individuals who inhabit it. A preseason open test at Circuit of The Americas, and in-season open tests at the Indianapolis Motor Speedway oval and WeatherTech Raceway Laguna Seca, highlight the 2018-19 IndyCar Series testing rules issued to teams by sanctioning body INDYCAR. An FIA-approved 3.427-mile/20-turn permanent road-course, COTA was added to the 2019 schedule as the second race of the season on March 24. As such, COTA will play host to the only official gathering of all IndyCar Series full-season entries before the season starts. The facility in Austin, Texas, will be site of a two-day open test on Feb. 12-13 as teams prepare for the season-opener on the streets of St. Petersburg, Fla., less than four weeks later. Teams are scheduled to test on the 2.5-mile Indianapolis Motor Speedway oval on April 24, ahead of on-track activities in May leading to the 103rd edition of the Indianapolis 500 on May 26. WeatherTech Raceway Laguna Seca near Monterey, Calif., returns to the Indy car schedule in 2019 for the first time in 15 years, serving as the season-finale on Sept. 22. An open test day is set for Sept. 19, just ahead of the official race weekend. The private testing period runs from Oct. 1, 2018 to Sept. 11, 2019, with blackout periods around Thanksgiving and Christmas and within seven days of all race weekends except prior to the St. Petersburg opener. Each team is permitted three preseason test days that must be completed by March 4, 2019. Full-season IndyCar Series rookie drivers are permitted two additional test days to be used by Sept. 11, 2019. New IndyCar Series teams also are granted two additional test days. Full-season IndyCar Series teams may take advantage of an extra day to test current Indy Lights drivers. A team with at least one full-season entrant in both the IndyCar Series and Indy Lights also is accorded one extra test day. The 2019 IndyCar Series schedule consists of 17 races, beginning with the Firestone Grand Prix of St. Petersburg on March 10. All races will be televised on either NBC or NBC Sports Network. Engineer Allen McDonald has joined Rahal Letterman Lanigan Racing as senior development engineer in a multi-year deal. McDonald’s resume features work as either a race engineer or technical director for two IndyCar Series championships, two Indy 500 race wins and three Indy 500 poles, most recently as 2018 Indy 500 pole-winner Ed Carpenter’s race engineer. RLL expanded to two full-season entries in 2018 for the first time since 2013 when 2017 Indy 500 winner Takuma Sato returned to the organization as Graham Rahal’s teammate. Season highlights include a win by Sato in Portland as well as a third and fourth-place finish in Iowa and Elkhart Lake while Rahal finished second in St. Petersburg and earned 12 top-10 finishes. A.J. Foyt Jr. will serve as grand marshal for the Red Bull Air Race World Championship event Oct. 6-7 at Indianapolis Motor Speedway. First-four-time winner of the Indianapolis 500, Foyt will deliver a competition command from Race Control and meet pilots from the world’s most prestigious aerial racing series, including fellow-Texan Kirby Chambliss. “I’m honored that IMS asked me to be the grand marshal for the air races,” said Foyt, 83, a resident of Houston. “Any time I can do something at the Speedway, I’m happy to do it because I always enjoy it. I owe a lot to the Speedway _ that is what made me. Foyt remains one of the most recognized drivers in motorsports history. He won the Indianapolis 500 in 1961, 1964, 1967 and 1977 as a driver and again in 1999 as a team-owner with driver Kenny Brack behind the wheel. Foyt also holds Indianapolis 500 records for starts and consecutive starts (35), laps completed and miles completed (4,904 laps/12,272.5 miles) and is the only driver to win the 500 in a front-engine and rear-engine car. Foyt continues to compete in the IndyCar Series with AJ Foyt Racing along with son and team president Larry Foyt. Practice and qualifying for the Red Bull Air Race World Championship is scheduled for Saturday with racing on Sunday. Pilots in the Master Class and Challenger Class will fly against the clock at 200 mph, just 50 feet off the ground, through a course marked by 82-foot-tall Air Pylons over the IMS infield.